This is NOT a standard amp type iec, but the kind that runs to computer blocks and such. Have a good look at the pics and you'll see what I mean. 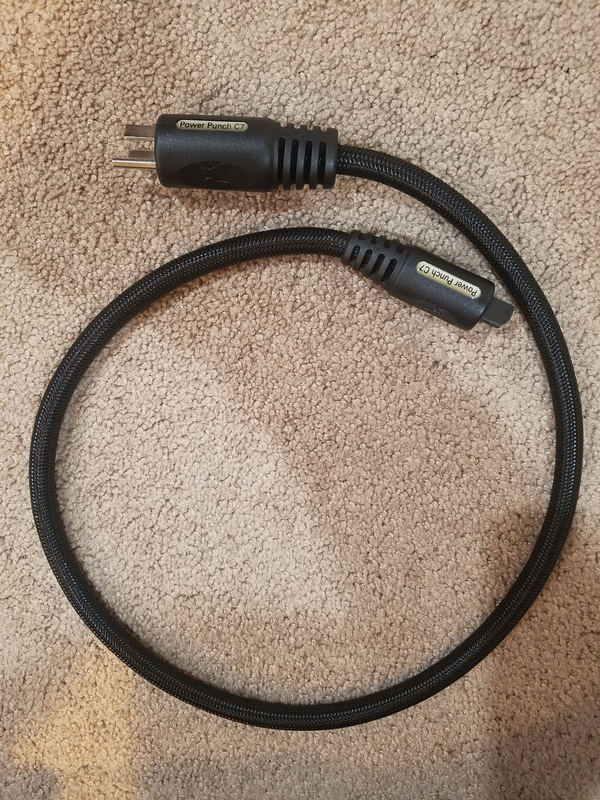 Great cord, just don't have a use for it. Dont have original packaging either. Shipping $10 CONUS. I can't believe I'm about to upgrade the PC on my HD DVD player. I need help. I'll take it if still available. PM sent - it's all yours if you're interested. Mark this is sold! Thank you sir! 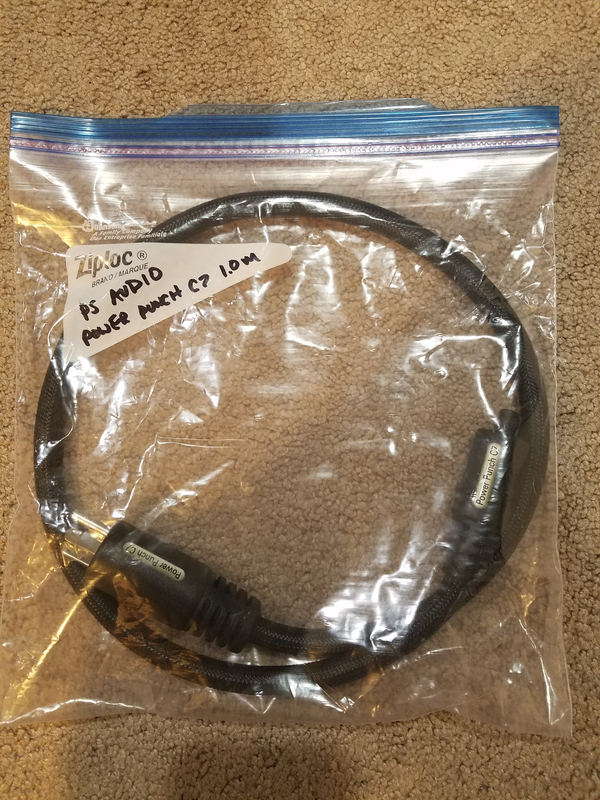 Well, since I am a newbie to this forum and so wanted this cable, I am absolutely apalled that my first offer has been overturned because of a long term member’s offer. Clearly, Mr Buhl have no decency and honour. Shame on you! I only hope other new people to this forum understand that they to could be undermined in the same sort of way! I'm appalled at your gall. MrBuhl has the right to sell to whom he wishes. The fact he chose to sell to a long time member instead of a one and done is testament to what a stand up gentleman and valued forum member he truly is. the BIG DOG has spoken! Hey bud, welcome to the forum! Lot's of good deals here, just gotta stick around for a while. I can surely attest to that! I am absolutely apalled that my first offer has been overturned because of a long term member’s offer. The standing preference here is to sell to longer term participating members (usually with at least 100 posts). There is a much lower risk of getting scammed. And by "offer" did you agree to the full asking price? Thanks guys for the support. I didn't do this lightly or without thought, but in the end, I offered to get a price for shipping to Canada for D&G, and didn't hear back from him until hours after Paul and I (whom is a longstanding contributing member, and a good guy to deal with as I have done on a couple occasions previously) had already settled up. Deals on here go fast, I have missed many over the years, but you have to be a member to know that. Because I know, I'm typically a stickler for the time stamp on offers, but there's a reason I prefer to buy & sell here to folks I know that isn't just related to a great price, it's Club Polk. That, to me, implies membership - and I elected to sell to one of our members in the absence of a concrete deal with someone with one post. Doneandgone, I do hope you hang around, it's a great forum with lots to learn, fun members, and yes, some great deals on occasion, but I'd venture to say they aren't the main reason most of us spend time around here. I've said all I'll say about this subject now, honorable or not. Wish I would have seen this. You need to upgrade your HD DVD player cable too? Shoulda closed the public tantrum with "...but I'm drinking milk an' you're gonna be sorry one day!" Clearly, my outburst has touched a deep nerve. For that, I apologize in offending and understand the loyalty this forum has demonstrated from each of the responses. I am not going to lie and admit that I am still a little choked of the sequence and timing of events. However, I am big enough to admit my retort could have been worded 'better' and I could have displayed more decorum in tolerating how fast-paced classified forums are. Perhaps my 'passionate' hobby made me too passionate? So, MrBuhl, a big Canadian sorry again from me. Welcome aboard northerner! Stick around lot of great folks and knowledgeable members. I can respect a guy that owns up. Kudos! Nice of D&G to humbly respond. If he is still interested, I have that exact cable sitting in my cable tote that I would offer to him for the same deal that he just missed. I am in Oklahoma, so I assume $80 shipped to CA would do the deal. PM me if interested as this hasn't been used in a couple of years and needs to go on to someone that can use it. Forum etiquette apologies to Mr. Buhl, as this is his FS thread, but these cables are getting kind of hard to find, and I have no use for it. Great gesture on your part Dennis, perhaps our Canadian friend will take you up on your generosity. This is the kind of stuff that makes this forum better than all others in my experience kid you not. @Dennis Gardner super generous and typical of my experience here for the last 14 years. I genuinely felt bad about the way things went down for D&G and it would make me very pleased to see him get what he was looking for. @DoneandGone Apology accepted, and I offer mine as well for being the cause of your angst. I meant no harm and I meant what I said, I hope you hang around a bit and enjoy this crazy dysfunctional family of ours, as you can see they really are a great bunch! Welcome aboard! You'll not regret it and that's a promise! Wow, I am truly flattered especially when I may not deserve it. Joe, not looking for respect. This is not the thread where respect can be truly earned. That's something I need to work on and time, plus postings, will (hopefully) be the great healer. MrBuhl, I couldn't possibly take up your offer, as magnanimous as it is. 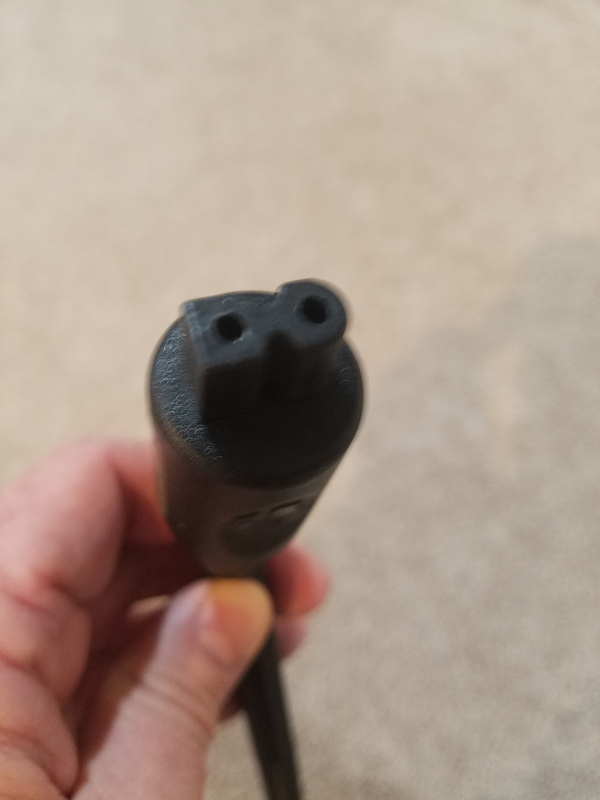 Wouldn't it be completely ironic if I were not to notice any appreciable audio change to my system upon cable connection??? Bro I totally respect you, it’s @F1nut who is Aretha Franklin in the matter. Well, whatever you do, be sure to start a thread on it. Detail your observations and then post a really strong opinion, and state that anyone of the opposing opinion is completely wrong. This has been proven time and time again to be the best way to make solid, lasting friendships here.